This is the Regular Gizmo. It is designed to absorb the expansion of winter freeze-up in swimming pool skimmers. The Regular Gizmo is 9 Inch long and installs in short skimmers found in both above ground and in-ground swimming pools. The Regular Gizmo has 1 1/2 inch threads and features a generous bar style grip for easy handling. For a professional fit, the Gizmo can be used with Teflon tape. Teflon tape is a very thin white tape used to wrap the threaded ends of pipes to improve the water tightness of a joint. The GIZZMO is designed for single season use. Please remember to recycle this product. View More In Rakes, Skimmers, & Nets. 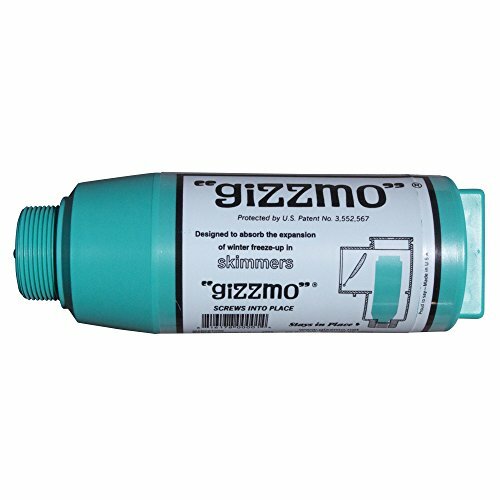 If you have any questions about this product by Gizzmo, contact us by completing and submitting the form below. If you are looking for a specif part number, please include it with your message.